Now that you are engaged, planning your wedding comes next—a monumental task with a matching price tag. Before you delve in, you need to really think about what you want and how you envision your special day. 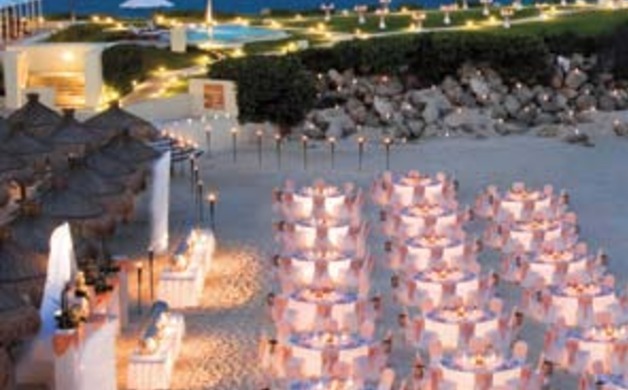 A Destination Wedding is an exciting option to consider. These events have increased in popularity over the past decade: In 2001, only 8 percent of weddings were destination weddings. But a recent study showed a 92 percent increase in destination weddings over the next 5 years. There are many reasons why a couple may choose a destination wedding. The bride and groom may have grown up in different places, moved around before meeting, and now find they have friends scattered around the country or even the world. 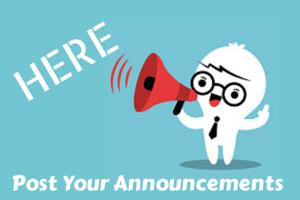 Many of your guests may need to travel to your wedding and stay in hotels. So why not travel to somewhere new and exciting? Traveling to a unique location is your chance to make your wedding stand out from the rest. A destination wedding may also allow you to control your guest list while controlling your budget. Not everyone’s schedule or checkbook will allow a trip to a far-off destination, and others may have difficulty traveling. This affords you the opportunity to make your wedding day more intimate by including family and close friends while not offending others. You first have to envision your wedding day. Do you want to be married on a beach, a ski slope, at sea, in a castle, or at a chapel in the Alps? First enlist the help of a Destination Wedding Specialist, who knows the ins and outs of the legal requirements pertaining to getting married away from home, as well as knowing the destinations themselves. Some destinations have made a special effort to simplify requirements to attract more “out of towners,” although many countries still have a residency requirement. It is best to work with a Destination Wedding Specialist who has knowledge of all of this, has experience in working with groups, and who is in close contact with onsite wedding planners at various venues. Weddings over the years seem to have grown into weekend events. 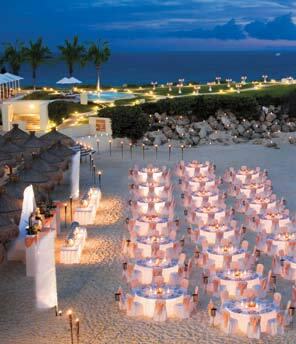 All-inclusive resorts are very popular for destination weddings and can accommodate weddings for 2 to 1,000 guests. Everything is at your fingertips, from onsite wedding chapels to spa treatments, golf venues, excursions, and even your rehearsal dinner. 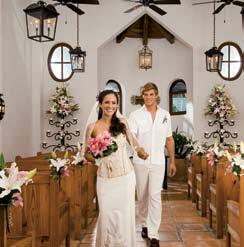 Many all-inclusive resorts have wedding planners on staff and offer wedding packages at a set price to include services of a clergyman or judge, flowers, photographers, wedding cake, photo album, music, hairstyling, makeup application, and ironing of your wedding dress. Working with a local Destination Wedding Specialist who can provide face-to-face, one-on-one assistance, is crucial and can ease the stress of planning a wedding far from home.